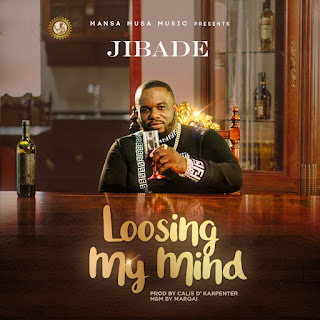 American born Nigerian Afropop singer Jibade Olajoku alias Jibade, is also a rapper, radio host, and songwriter. He began his career while in secondary school with his friends before his professional career as a music artist began in 2008. Jibade describes his style of music as "Feelpop music". His latest song "Loosing My Mind" is a fusion of good lyrics with contemporary hip-hop in a pitched Yoruba accent and English. Jibade currently owns an independent record label Mansa Musa Music. Loosing My Mind was produced by CalisD’ Carpentar and Mixed & Mastered by Marqai. The Video is directed by Mattmax. Check on it!